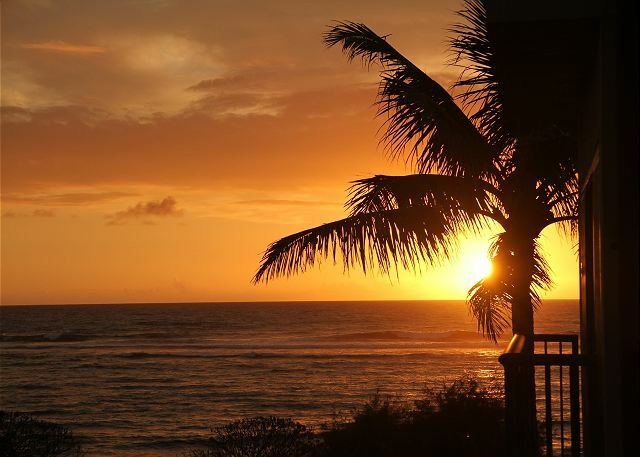 Our group's experience at the Waipouli Beach Resort was simply fantastic. The beautiful room was clean and as advertised while the staff, resort & Kauai Exclusive Management company, were very prompt and helpful. The pool and room views were a great way to start and end each magnificent day on the island of Kauai. The only issue during our stay was the lack of proper directions on tv operations. Some in our party wanted to watch some of the World Cup Soccer games and they had a difficult time using the right remotes in the right sequence to get everything to work properly. Maybe a better instruction sheet could be provided. We had a wonderful time at the resort and would return. Loved this place.. Well stocked with everything you need and the view is amazing. Both king size beds are exceptional and so comfortable.. Best sleep ever. The property is great, nice fitness center, gas grills, and great pool.. Plus the beach is nice if you want to get away from it all,, very private. A+++ all the way. Can\'t wait to go back again. Easy access, easy check in, very nice care, and of off course the resort was wonderful! We stay with my sisters & my nieces who were from overseas total 6 people. My nieces are early 20s, they spend in the bathroom for make up or/and dress up most of the time. My sisters and I were enjoying in the kitchen to prepare smoothies every morning and fix dinner couple times( the groceries are just cross street 5 minuets to walk). We were very thankful to have the wash & dryers which didn’t have to bring too much clothes. And the best part was the beautiful ocean view from our condos!! We loved this property and will have a very hard time staying at any other place on the island. The property is great for both kids and adults. The Kauai Exclusive Management team was excelent and we will definatley book future stays through them. My wife and I visited this resort the first week of March. We shared a two bedroom unit with our friends. Everything was as advertised. The views of the ocean from the room were amazing. The resort was very nice. The location is perfect. It is surrounded by several shopping and dining options. It is also convenient to sightseeing activities on the island. This unit is perfect for two couples. Each bedroom has a king size bed and it’s own bathroom. The kitchen had all utensils needed. We had a small problem with a dead battery in one of the smoke detectors, causing it to chirp. I sent a message to the RentalHost, and someone arrived within an hour and fixed the problem. Property management is quick to reply and helpful. The resort is fancy, clean, great landscaping, and friendly staff. We choose it for the pool and were not disappointed. No hesitation recommending this place for your family. Good for travelers without kids as well. The property was nice and well kept. 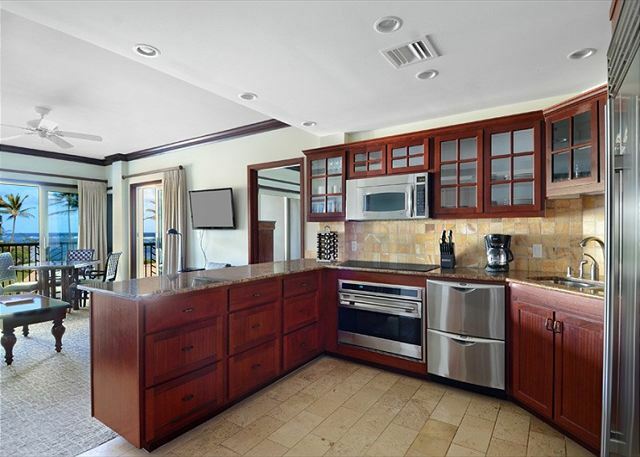 The kitchen was also nice with high-end appliances. View was beautiful and the pool was pretty, as well. The location was central to many beaches and activities. This was our first time staying in this type of property (vs resort hotels) and our experience here was great. Having the space to stretch out, the privacy two bedrooms, and your own kitchen makes it easy to relax and enjoy your time on the island. The unit itself is well furnished with everything you need and Safeway and Foodland are right across the street. The pool is great, but the onsite restaurant is over priced. Better to just head north 1 mile into Kapaa for some great dining choices. 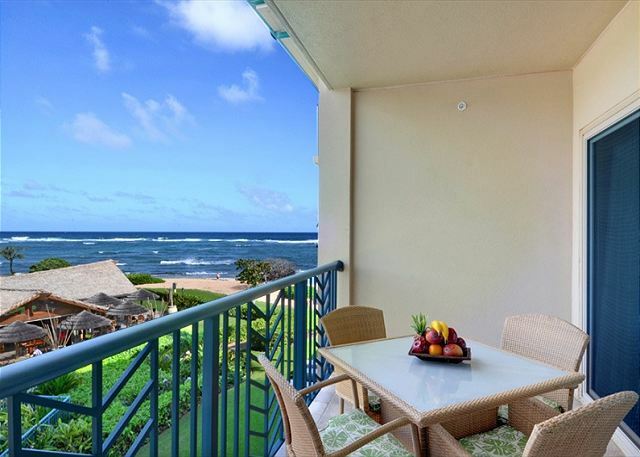 The location itself is also ideal as it puts you halfway between Princeville and Poipu. After encountering a terrible "luxury townhome" in Hanalei, I was seeking last minute accommodations anywhere else on the island. 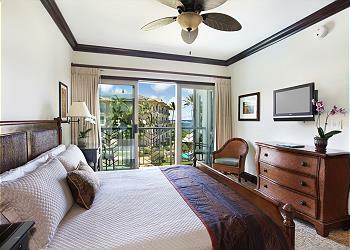 Kauai Exclusive Management came to the rescue with the Waipouli Beach Resort. The condo was just as described. It was spacious and comfortable (especially the beds) and perfect for our group of 4 adults. We had a great time and are already plotting our return! Beautiful condo with updated amenities. Pool is great. Great location for being in the middle of Princeville and Poipui. H304 was perfect, fully stocked kitchen, great location and view, the layout of the unit was perfect for two couples. Has a great lanai to sit out and have your coffee or cocktails. 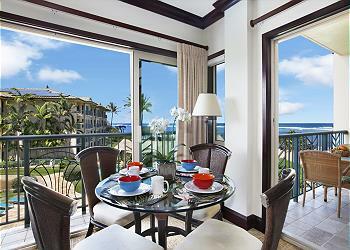 Inside the corner table with great view of the ocean is a great spot for breakfast. The entire property was clean and family friendly. The location is perfect to get to any part of the island. The onsite restaurant was very good with great cocktails and appetizers. The only negative comment is on the onsite restaurant waiter. I highly recommend this unit and will certainly return to this unit. Condo was perfect for our stay in Kapa'a. It's a nice unit with gorgeous views of the pool and beach. 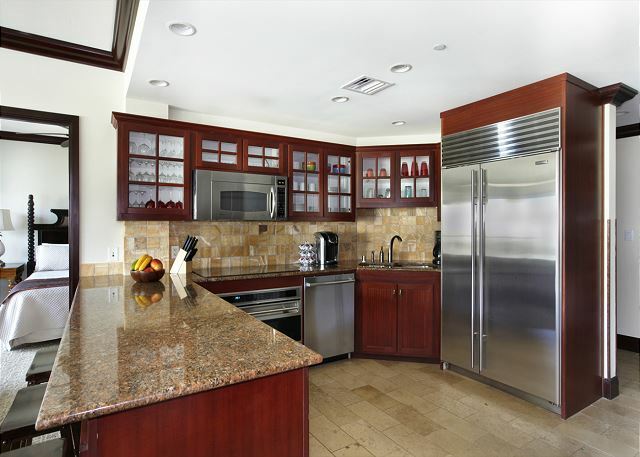 Kitchen includes high end appliances and is well stocked with items to make cooking your meals convenient. Located across the street from Safeway and near Old Kapa'a town. We highly recommend the First Saturday in Old Kapa'a Street Festival that includes local artists, food & music. 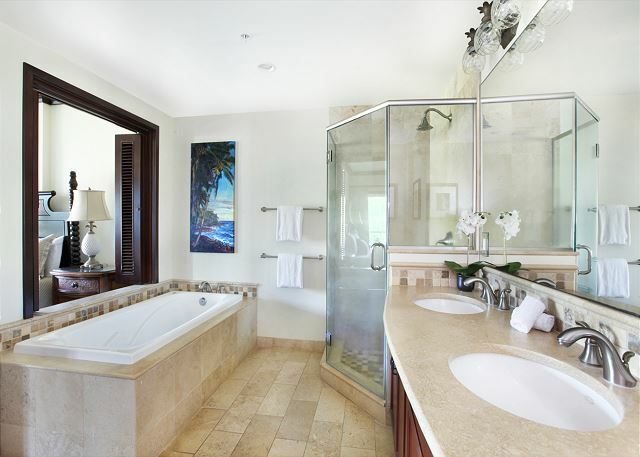 The condo is within walking distance to the beach, restaurants and short driving distance to other parts of the island. Some of the furniture is looking a bit worn out but overall, it's a clean, spacious unit that easily accommodates a family or two couples. FANTASTIC!!! Cannot wait to bring our family back! We did adults only this time but would be perfect fir the entire family! All amenities at your fingertips including a fully furnished condo, large pool, restaurant on site, across the street from the grocery store, walking distance to town...and so much more!!! Couldn't have asked for more!! Everything about my experience was perfect from the reservation process, the check in process,the resort, the Condo,the location, and especially the view!! My family had a great stay, the condo has got everything you need in it the rooms are spacious and when you open up the doors there is a fantastic breeze that blows through the condo. We would definitely stay there again!! Awesome! Everything was exactly as expected. Love this resort and would come again, and use the same management company to book. Our 2 week vacation was fantastic. The unit was perfect for our family of 5. The unit was fully stocked with everything we needed. We enjoyed Wednesday Happy hour with the local ukulele players get there early. We loved the pool and never had an issues finding a spot to lay for the day. Would recommend this resort to my friends and hope to return again. Fantastic place to rent, close to all the amenities. The suite had all your basic requirements. The beds where very comfortable! Loved it! We had a wonderful time. The view was spectacular and the condo was nicely decorated and the beds were very comfortable. We will definitely be return visitors. H304 is situated perfectly! Great views looking to ocean and pool complex. Really enjoyed the lanai seating. Unit overall was very nicely furnished and equipped. Only gripe would be one bed was too soft and low to the floor. Our Grandson loved the pool complex and slides. H304 is a great condo with a great view. First, the location has a view of both the pool and ocean. It is also convent to get down to the pool. It's not far from the stairs and elevator. The interior has been updated and the beds are both roomy and comfortable. Having two showers is really convenient for a family. The washer and dryer seem to be brand new which allowed us to keep up with our laundry very easily. Lastly, the kitchen has everything you need and is even well stocked with most of your basic needs. It exceeded our expectations !!! 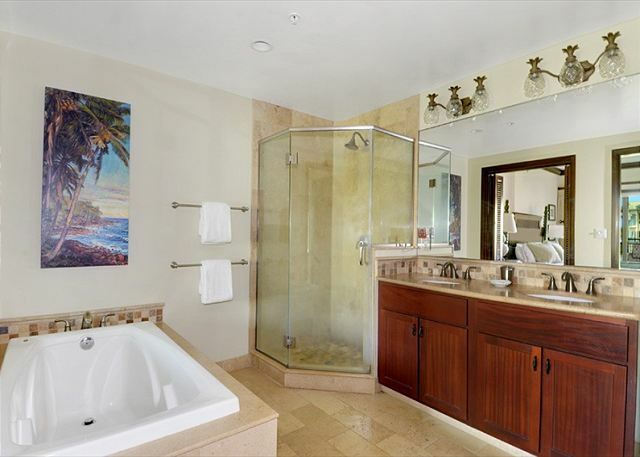 Very clean, great location, beautiful view of the resort and beach. Will definitely come back. Thank you for making it our home away from home !! The condo was exceptional. Wish we could have stayed longer. Visited kauai for a week and lived this resort . Smaller but well appointed villa and surrounding areas . Kapaa close by offered Al sorts of great dinner options as well as oasis right there on the property . Very thing was top notch , villa very roomy and great views of the ocean and property . We lived it ! Condo is extremely nice and the Location is great! Open your windows and you can hear the waves crashing! Unit is clean updated! Both rooms have large beds that are super comfortable!!!! Unit is stocked with everything we needed. (Market is literally right across the street which is very convienant for groceries) Resort is clean and the pool area is very nice. Kaui management was very helpful before and during the stay! Minor hiccups: Internet in condo was extremely slow. Elevator in the resort didn't work well the first few days and then was down while they worked on for a couple days as well. We spent a wonderful week at Waipouli Beach Resort. The condo was beautiful, the pool very fun, the staff relaxed and helpful. Our unit was perfect for our family of five. We loved having a full kitchen to prepare and eat fresh food. The view was awesome and we were within 30-45 minutes of pretty everything in any direction. Awesome Ocean & Pool views from this unit. Unit had everything we needed for our stay. We stayed at the Waipouli Resort for five days and had a wonderful time. All of the personnel were very professional and friendly. The pool area was one of the nicest we have experienced. The condo was modern and luxurious. This was a totally top notch vacation. 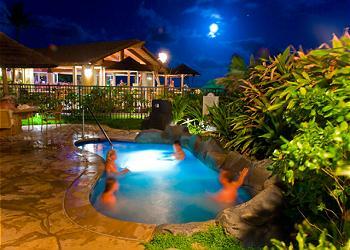 We enjoyed our stay at the Waipouli Beach Resort very much. 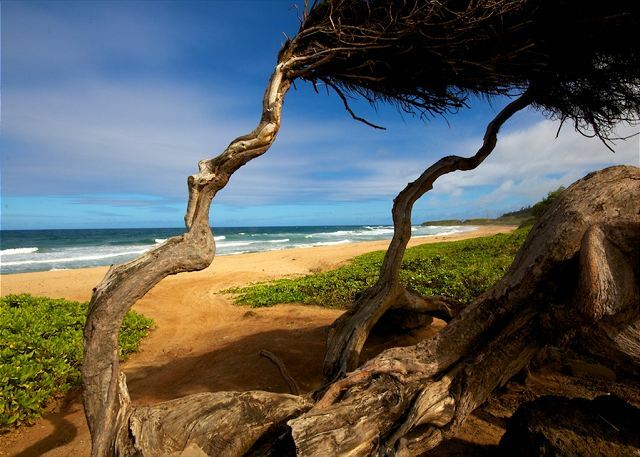 It is the perfect location to explore the island of Kauai - halfway between the North and the South shores. The pools and the grounds at the resort are extremely well maintained and are beautiful. There is plenty of parking. It is extremely convenient to have Safeway and Foodland across the street and there are many restaurants within a short walking distance. Kauai Exclusive Mgmt were always helpful, responsive and positive. This is my second time staying at this resort in the same condo. The location is perfect for day trips to either end of the island. 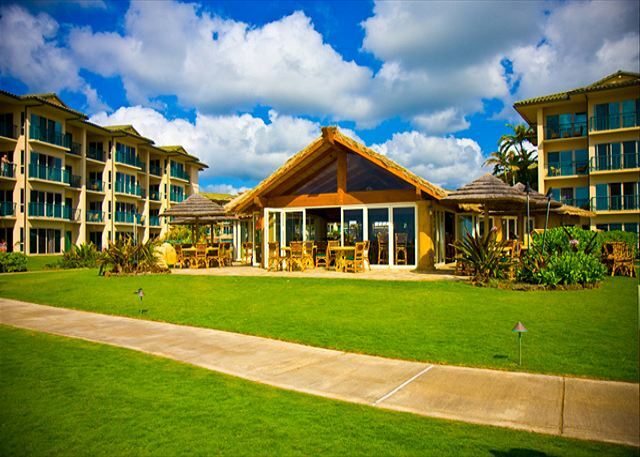 The resort it self is kept very clean, the pool is great and so are the mai tai's at Oasis :)... It is also very close to take a long walk or bike ride along the beautiful coconut coast trail. Also the convenience of the grocery store across the street is a ++. The condo itself is in a perfect spot for the beautiful sunrises. It could use a little TLC (freshen up the paint, and fix the screens on the patio doors), but overall a super place to stay. I will be back. The BEST place to stay on Kauai !!! This apartment was just brilliant!! Fantastic location on the island and the best location within the resort...views of the beach and the pool. The apartment had everything we wanted, great kitchen and coffee machine, laundry, spa, 3 TV's and wi fi for the teenagers. Our boys used the gym quite a bit and were super impressed with the gear available. There was heaps of snorkel gear in the apartment for us to use. Safeways across the road for some cheap food and lunches. The owner had prepared a summary of the island and their best places to go....we used this over travel guides was so much better. I cannot speak more highly of this as a great apartment to stay in. We enjoyed our stay and hates to leave. It was very cool our whole stay and one thing missing was a blanket. I was so cold at night I piled swim towels on top the bed just to stay warm. It isn't always hot in Kauai. Cooking pans could be upgraded. Maybe a wok added for stir fries. Was nice to have supplies there for our use and coffee. Too cool to even sit out on lanai to eat. Pool was way too cool to enjoy which was disappointing. Wanted to swim everyday but too cold. Too bad it's not solar heated to be more enjoyable. I wanted to go down the slide to have fun but too cold. So windy and cloudy our whole stay. Shortage of lounge chairs at pool. When sun came out . Would stay again in this same unit. Nice location and lovely. Close to the ocean and any amenities needed - most within walking distance. Hot tubs and pool onsite. 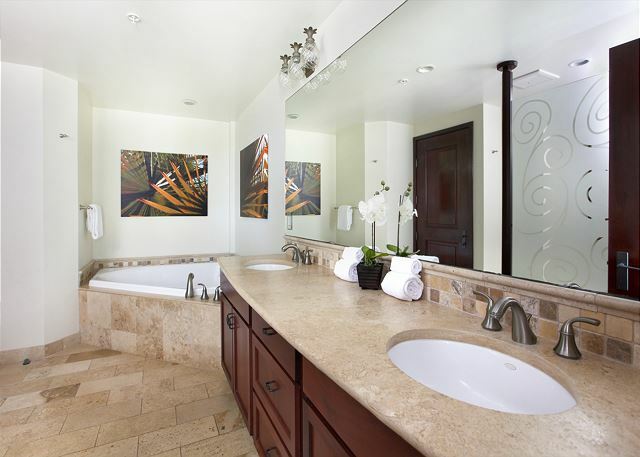 Clean, maintained, high ends condos. This was our 3rd trip to Waipouli Beach Resort. And we'll be back again. Have been to Hawaii many times on Kauai, Maui, Oahu. Loved this place and in particular H304. 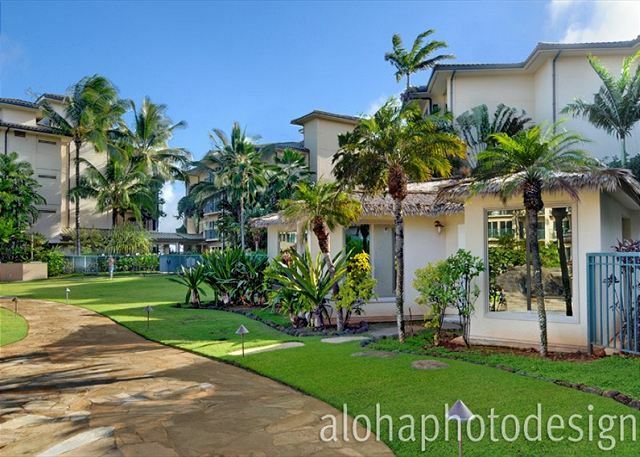 Very comfortable, great location (on the beach in Kapaa), great pool and great amenities. Wife and I stayed here 10 days with our 7 year old son and 4 year old daughter- one of the nicest places we've ever stayed in Hawaii and can't wait to return. Aloha Miriam! Thank you for being our guest and I wish we had known you were without a blender while you were staying with us. Every property that we manage has a blender so the fact that you were without one was a breakdown. We have since updated the suite with a brand new blender and had our cleaning team buff the shower doors. We really appreciate your feedback and we hope to host you again in the future! Unit H304 was the perfect condo for our family. It overlooks the pool and has a wonderful view of the ocean as well. The condo was spotless and well equipped with all essentials. The location of the resort is ideal, very close to Kapaa and best was the grocery store directly across the street. Excellent resort and very well positioned condo unit. Condo is clean, well equipped and the management team is responsive. 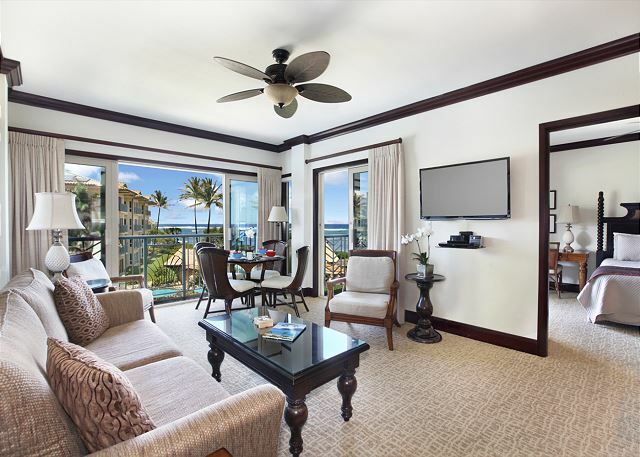 The condo has a perfect location, with plenty of ocean view, but also a view of the pool and lush surroundings. Furnishings were high quality, and quantities of basic necessities were well appreciated. Only had a coffee maker that was not functioning, and management replaced it quickly. This is a great resort. As advertised on the website and photos! We were in H304 which gave us a great view of the morning sunrises! The view of the pool was wonderful as well. By closing all the doors (the only way to use the AC) you couldn't hear the activity below! The beach left something to be desired, there was a steep drop to enter the water and then it was very rocky. If you want to swim use the pool. If you want to snorkle or surf/boogie board you'll need to drive a bit. Kauai is a small island so everything is close by if you stay in the southeast area. The room was great. We had a room with two Kings! The first week there was 4 adults and it was very roomy, the second week two more adults, it was a little tight but we worked it out. The cooktop was slow to heat up. The ice maker and Kerig weren't working. Make sure when you book to include a late checkout if you have an evening flight and add a day for your rental car. (That was an expensive lesson) Spa prices were very high in my opinion but we were too busy touring to use it anyway. Oasis by the beach wasn't to bad, a little pricey. Not much handicap parking for those that need it. Don't forget your wristband when using the pool, it was good that they checked, made us feel safer. I would definately recommend this resort! A few issues with KEM but were quickly resolved. Aloha, Thank you for your feedback... Regarding the cook top I have reached out to our service team to look into this. Regarding the keurig, once we were made aware the Kuerig was not working properly we purchased the newest high end one Kuerig makes and had it delivered. When we delivered that there was never any mention of the ice maker not working. Had we known this we would have had our on site service team take care of this in the moment. We have addressed this matter so that it doesn't affect future guests. We appreciate the feedback and thank you for being our guest! Our experience with Kauai Exclusive from our first contact to our last was most helpful, professional, and thoughtful. They asked questions of us before we knew what to ask regarding our wants and needs.Thank you Patrick McMillan and team for your extended courtesies and knowledge. Booking the unit via email was seamless. The follow-up by the team made check-in quick and easy. The contact on the morning of our departure and assistance with last minute changes could not have been more appreciated. Kauai Exclusive even offered a concierge, Sonja Keala, that helped us book several excursions and provided great restaurant recommendations based on our taste. Our unit was everything the description and pictures said it would be. We were impressed with the cleanliness, the well stocked kitchen and the provision of basics needed to use the unit for a week. The location and parking on property made it easy to come and go for hiking, biking, visiting other beaches. The grocery stores, coffee shops, and drug store literally across the street made for easy pick up for food and necessities. We rate the location very high for walk-ability to stores, restaurants, the bike/walking trail, and other beaches. We would highly recommend H303 and H304. We would highly recommend Waipoli Beach Resort and Spa for families, couples and friends. The location is great, the grounds very clean, the condo had some easy fix maintenance issues and a couple of clean issues that need to be addressed. I have made the management company aware of these and hopefully they will follow through and correct them. As always we appreciate feedback and as always our owners allowed us to take action. We will look forward to hosting this wonderful Ohana in the future! We have come to this resort 4 times now and this was one of the best locations. We had a great time and everything went very smoothly. Managment was very helpful! The facility was one of the best we've ever stayed. There are stains on the living room carpet. The king sized bed's mattress is sagging; it needs replacement. Almost perfect. One of the best places we've ever stayed. I do, however, suggest that the king size bed mattress be replaced. Luxury conda with an amazing view. This unit was all that we hoped it would be. It certainly lived up to our expectations. 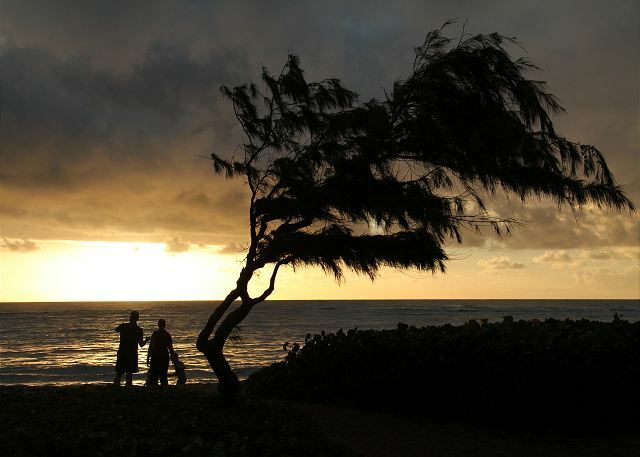 It was a very important aspect to a wonderful 18 days in Kauai. Wonderful time - fabulous service. Loved it! My husband and I have stayed at Waipouli Beach Resort before and always thought that it would be an ideal location for a 'family' vacation. We chose "H" building as it was the PERFECT location within the complex.The 2-bedroom suited us fine. Location is ideal, pool is awesome, and we loved the Wednesday night entertainment from our balcony. Josh handled any concerns promptly and efficiently. He is an expert at this! Highly recommend this property. The property was clean plenty of room for my two kids,the only thing was that the WiFi did not work so well. Outside that we loved the location close to safeway store and walgreens store and some other stores and restaurants just across the street from the resort, the property is ocean and pool view and is a restaurant also by the pool love that, you can hear the ocean weaves crashing to the rocks from the property. This is the best place to stay. We have been coming her for the last 4 years and always here. You will not be disappointed. 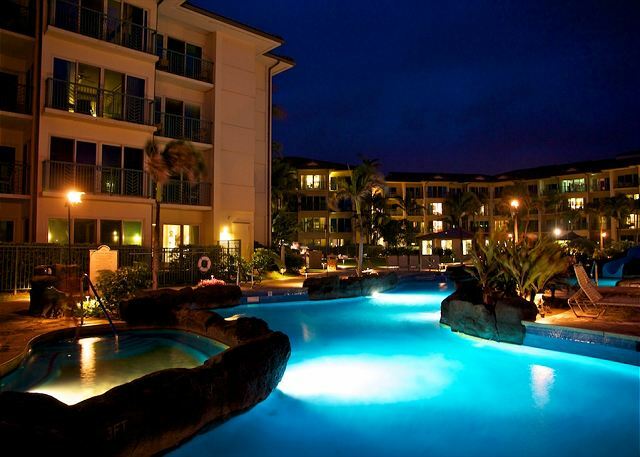 This was my second time staying at waipouli beach resort, and I am really pleased, excellent condo and good location, my kids love the pool. Recommended to everyone. furniture needs replacing in this condo. We found the property management people very helpful in accommodating our stay and in maintaining the standard of the accommodation. They were very responsive to our needs and our requests for service.